The one-month old elephant had been separated from its herd as it moved through the Phayao Province region of Thailand. The (relatively) small animal then somehow got trapped in the deep well where the villagers found her seemingly scared and desperate to get out. The villagers called a local animal rescue organization who came out armed with a backhoe. The group was able to carve out a pathway for the elephant who then walked to freedom, her mother, and, hopefully, safety. 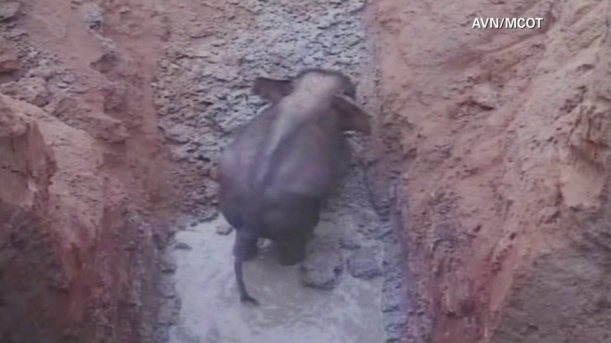 Responses to "Baby Elephant Rescued From a Well In Thailand (Rescue Video)"